For the third year running we are pitching up at Europe’s only event to revolutionise your street food business, Street Food Live. The event is taking place at ExCeL London on September 25 and 26 and is free to attend to anyone with an interest in street food. The show offers market-leading suppliers presenting the most innovative street food solutions, as well as a fantastic schedule of seminars by inspirational successes and industry experts. Staff from the NMTF will be there to demonstrate the benefits of joining the country’s only national trade association for entrepreneurs who trade on markets and market-type events. Delegates can also find out about retail training and work experience support for start-ups from the NMTF. Get tickets to this event by clicking here. 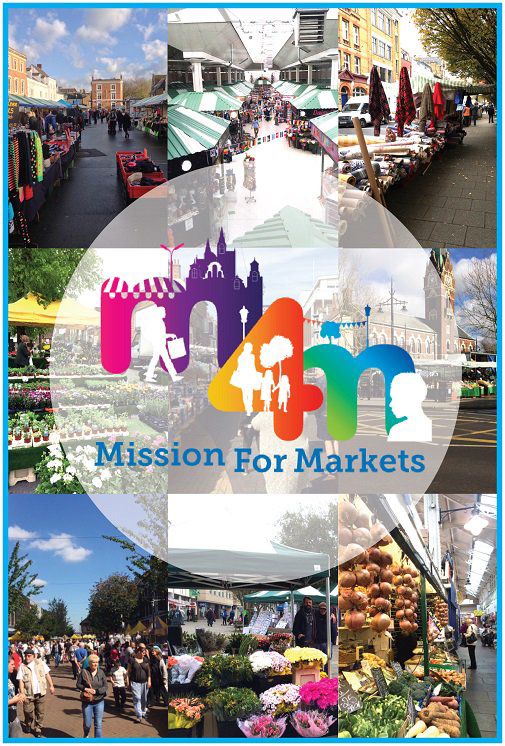 Have you completed the Mission for Markets survey yet? The deadline is June 30! Mission for Markets is run by the NMTF and NABMA (the National Association of British Market Authorities), which represents market operators across the UK. This survey will give us the ammunition we need to lobby the Government for support and investment. There are three separate surveys depending on the trading model of your business. One for market traders, one for street traders, and one for event retailers/caterers. There are two stages to the survey. If you complete both stages you will be entered into a random draw to win one of five free single NMTF memberships (worth £122 each). Responses are anonymous. Personal details will not be published. We only ask for contact details in case we need to verify data and to get in touch if you win a prize. Both stages of the survey will take you around 15 minutes to complete. For more info please click here. Have you heard about the great offer from our sponsors Chip & PIN Solutions for both their existing and new customers? 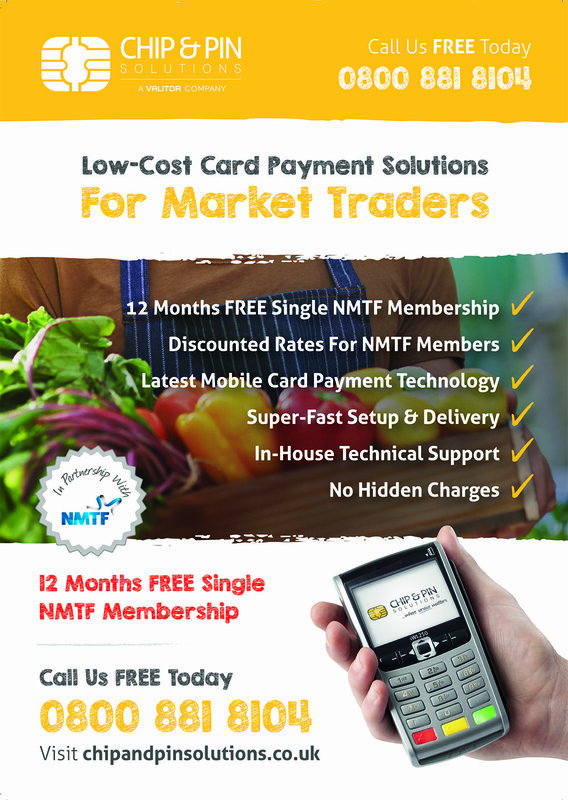 Members will now receive a FREE 12 months single NMTF membership renewal if you sign up/upgrade with Chip & PIN Solutions. The offer is also open to members who refer a friend who joins Chip & PIN Solutions. (One free membership per annum then £50 per referral thereafter.) There is also no minimum monthly service charge, no authorisation charges, and no card not present charge.Card payments overtook cash payments as the main method of purchases in the UK for the first time in July last year, according to the British Retail Consortium. Despite this figure, around three million of Britain’s small businesses do not accept card payments, even though the UK is rapidly becoming a nation of card-only shoppers. What are you waiting for? Increase your sales today. For more info click here. We are constantly striving to make our membership better and that’s why we need your help! 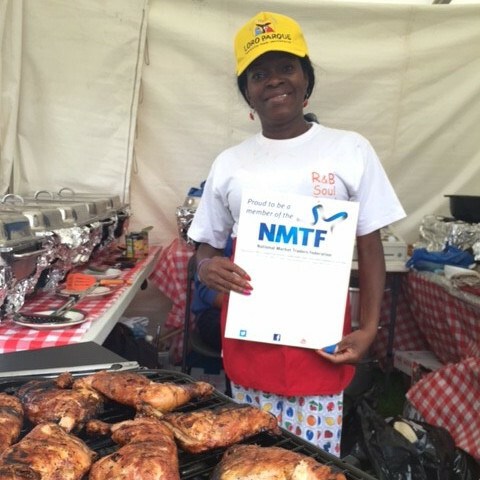 We want to know what kind of member benefits you would like to see us offer as part of the NMTF membership. We already work with some great companies such as The AA, APH Airport Parking & Hotels, Chafes Hague Lambert Solicitors and the Safer Foods Group to name a few. (Find a full list by logging into the members area) We want to know what other companies you would like to see us working with. If you have any suggestions please email[email protected].